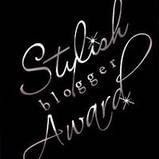 Murees Dupé: FIRST BLOGGER AWARD! I have received my first blogger award. I am still in shock. I am totally having an academy awards moment here. Rule 1 - Thank the person who awarded it to you. Thank you Heather from THE WAITING IS THE HARDEST PART (http://hmgardner.blogspot.com/). You are one awesome lady and I would not have survived in the blogger world if not for you. You helped me through very tough times and your writing is something to aspire to. Thank you. Rule 2 - Share 7 facts about yourself. 1. I am the youngest of 4 children. 3. I have a Bachelors Degree in Agriculture. 4. I believed that vampires actually existed up and till I was 16 years old. 5. I tend to wear a lot of black clothes. 6. I once helped a sheep give birth. 7. I always look at the dessert menu first before I eat at a restaurant. Rule 3 - Choose _____ bloggers to pass this award on to. Rule 4 - Notify said recipients of the #3 rule. Thank you again Heather, you are one awesome lady and thank you to everybody that reads my blog. I am always grateful for your support and interest. Congrats on your award!! And, glad to hear I'm not the only one to pick out a dessert before a main course in a restaurant! Thank you Nicole! I am always happy to know there are other female dessert lovers out there. You are so very welcome and thank you for always being a voice of support and positive thoughts on my blog! Heather - It is my pleasure. I think you are a very talented writer and I just want you to succeed. So, when you are down, I try to make sure you keep going. J.C. - You are welcome. Katharine - You are very welcome. Congrats on your award, and thanks for stopping over to my blog. And maybe I should start reading dessert first...It is the most important meal of the day, right? Heather - Dessert is definitely the most important meal (wink). You are welcome. I really enjoyed your post and I will definitely be stopping by regularly. Heather - Sorry for my bad manners. Thank you for following my blog as well. I hope you will find some of my post interesting and entertaining. Congratulations on your award...and thanks for passing it on! I always enjoy your posts! Carla - You are welcome. Thank you, I am very happy that you enjoy my posts. It is very nice to hear.